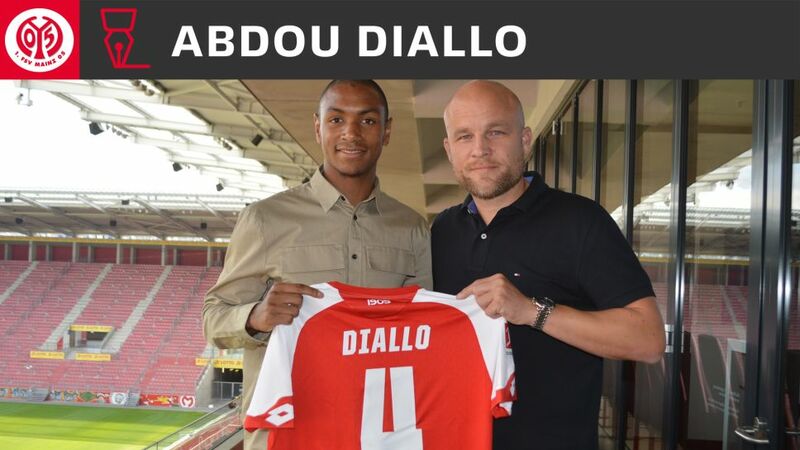 Mainz have completed the signing of France Under-21 captain Abdou Diallo from Ligue 1 champions Monaco. The 21-year-old defender has put pen to paper on a five-year deal through to summer 2022. "[Sporting director] Rouven Schröder and [head coach] Sandro Schwarz came to Monaco to meet me," said Diallo. "Straight after the talks with the coach, I decided to join Mainz. "I've only heard good things about Mainz 05 from Jean-Philippe Gbamin and Gaetan Bussmann, and my first impression confirmed it all. The Bundesliga is one of the top leagues in the world and I can hardly wait to play for Mainz." Diallo made the step up to the Monaco first team in 2013/14, and turned out 10 times in Ligue 1 all told, either side of a loan stint in the Belgian top flight with Zulte Waregem. He has featured for France at every youth level from the U-16s to the U-21s. "Abdou Diallo is strong in the air and shrewd in the challenge, and had generated a lot of interest across Europe," said Mainz sporting director Rouven Schröder. "He's quick, good in the build-up play and defensively versatile. He's also a very determined young guy with a good character. We're delighted he was so keen to move to Mainz 05."